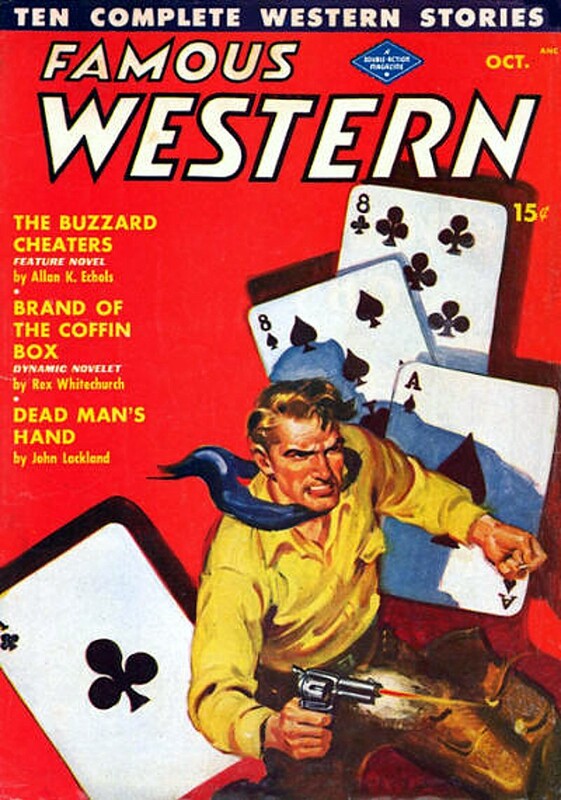 That's a bright, eye-catching cover on this issue of FAMOUS WESTERN. Inside there's an interesting mix of authors, too, and a story title I really like, "The Buzzard Cheaters", by Allan K. Echols. Other authors with stories in this issue include A.A. Baker and Rex Whitechurch, house-names Mat Rand and Cliff Campbell, John Van Praag (who was really Scott Meredith, later famous as a literary agent), and John Lackland (who was really editor Robert W. Lowndes). 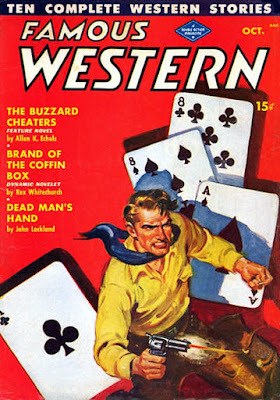 Not exactly the first string when it comes to Western pulpsters, but I'll bet there are some entertaining stories in there.